Sun Visors: Center Mounted. Made from 3/16 thick dark gray tinted Plexiglas. 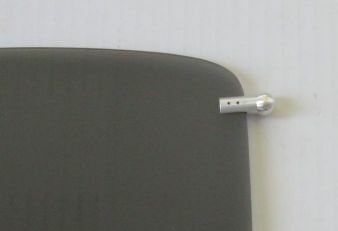 Image of visor with removable protective film shown. Sun Visors are the same "see through" as 01-032506-00 below.